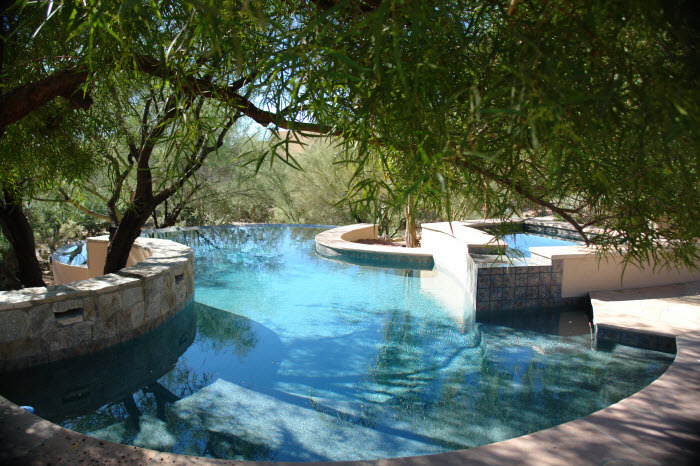 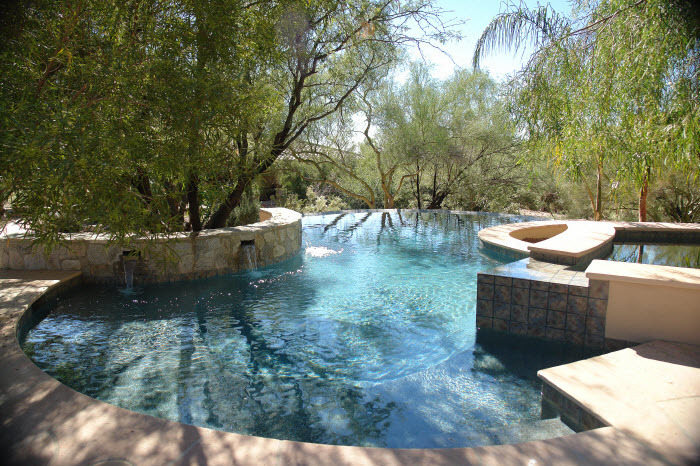 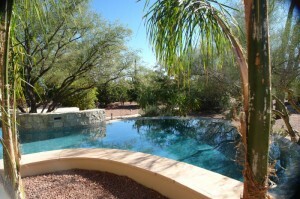 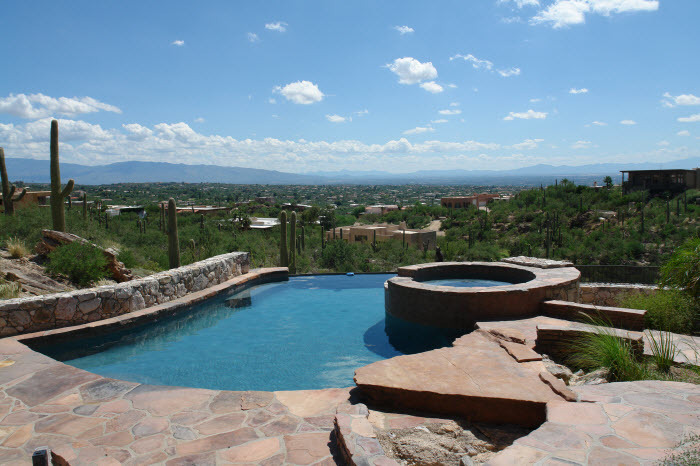 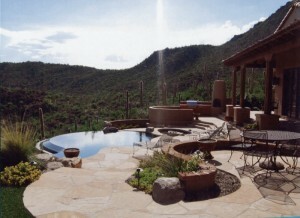 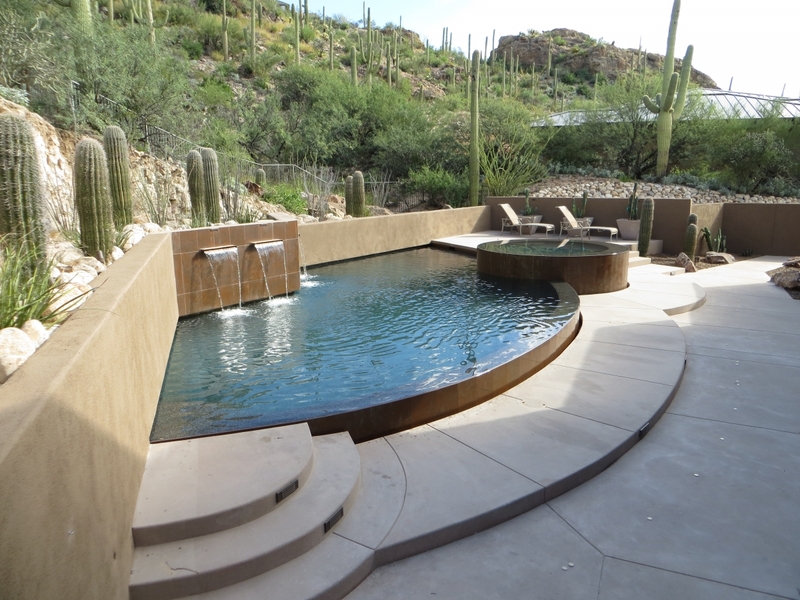 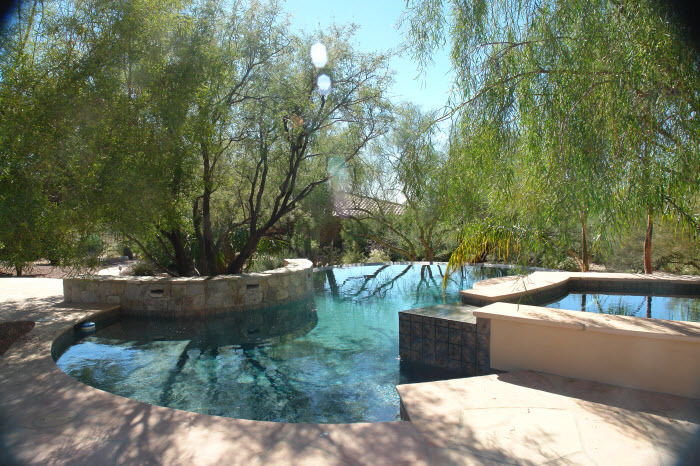 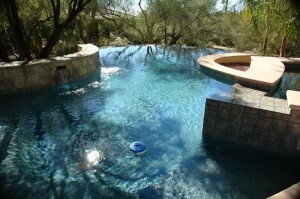 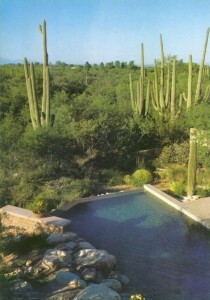 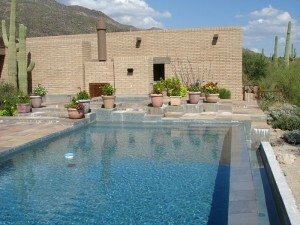 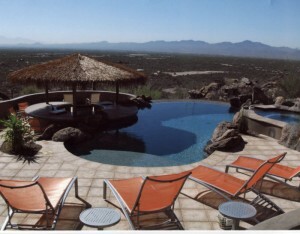 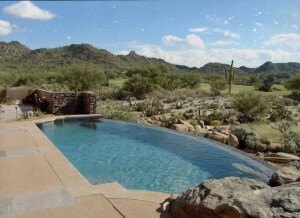 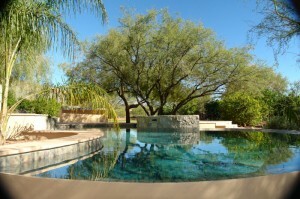 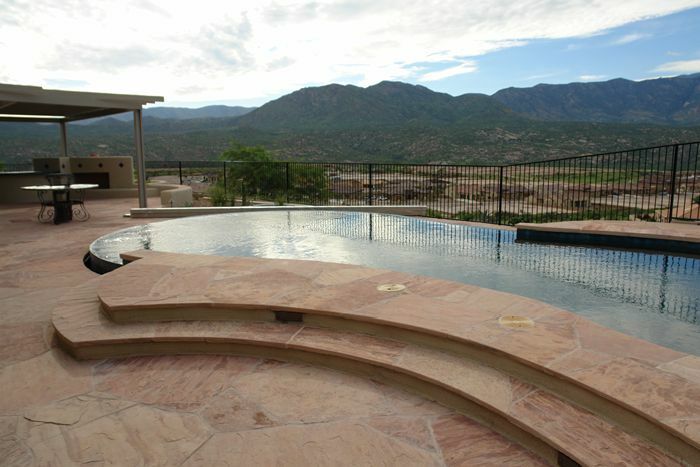 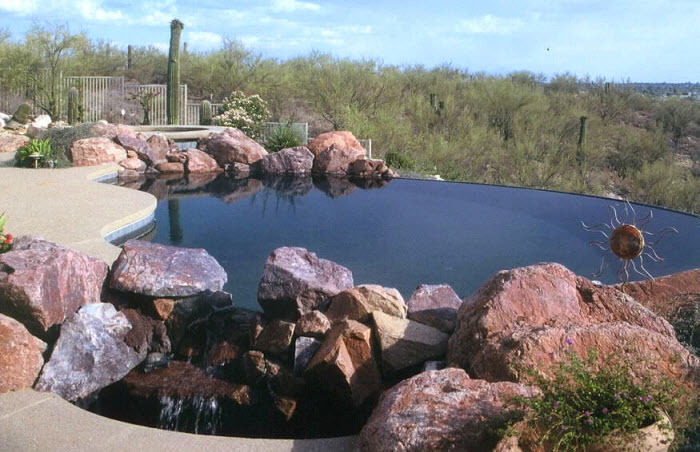 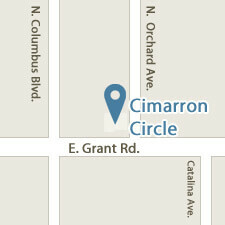 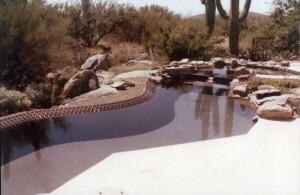 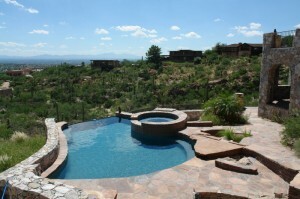 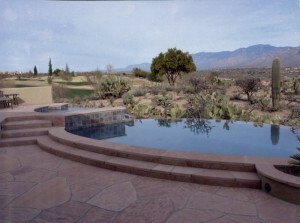 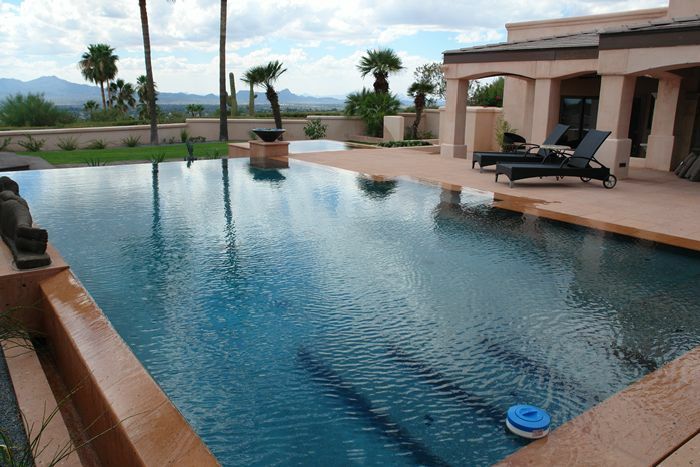 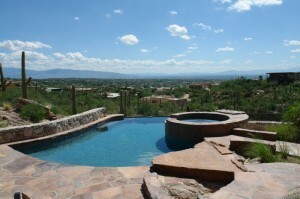 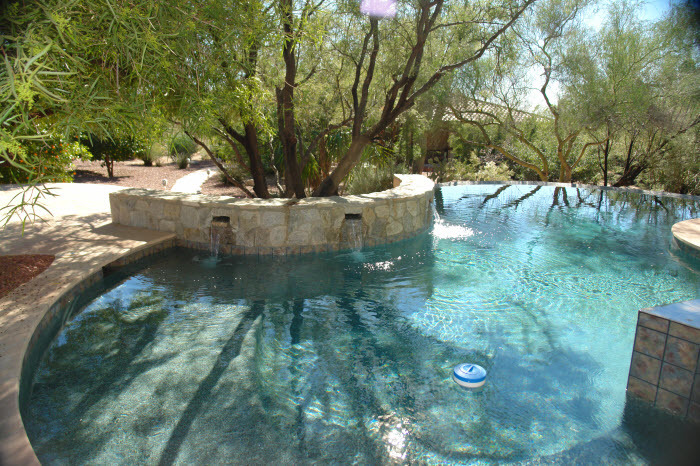 The first negative edge pool in Tucson was built in the late 1960’s. 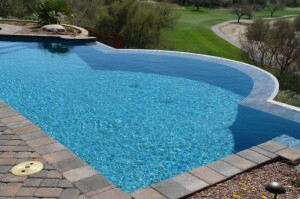 One end of a geometric pool was lowered 3” with a slot in the bond beam. 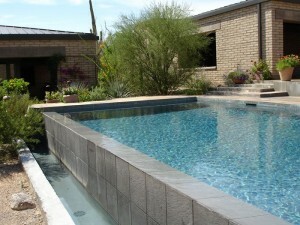 A piece of plexiglass 6” high and 10’ long was inserted into the slot. When the pool was full the water was at the top of the plexiglass and it gave the illusion that the water just went over the edge. 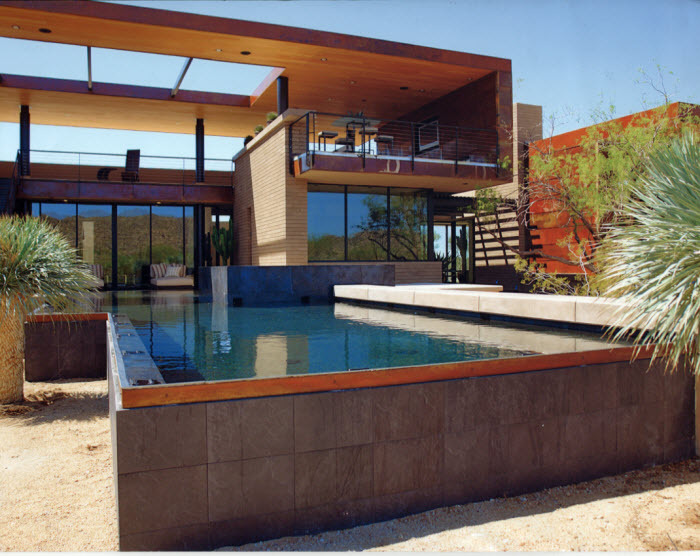 Unfortunately, after about 6 months the plexiglass turned yellow and opaque from the ultra violet rays of the sun and became very unsightly. This became a huge problem since the plexiglass was anchored in the gunite of the pool and had to be chipped out and replaced. 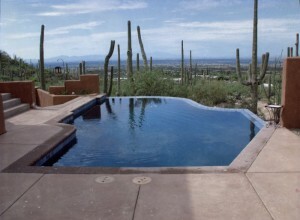 Over the years the negative edge evolved to a simpler method of illusion. Today we depress the bond beam 2” where we want the negative edge to be. We cant, or slope, the waterline tile inward toward the pool and allow the water to stay about ¾” below the top edge of the tile. When you are sitting or standing across from the negative edge, it looks like the water flows over the tile. 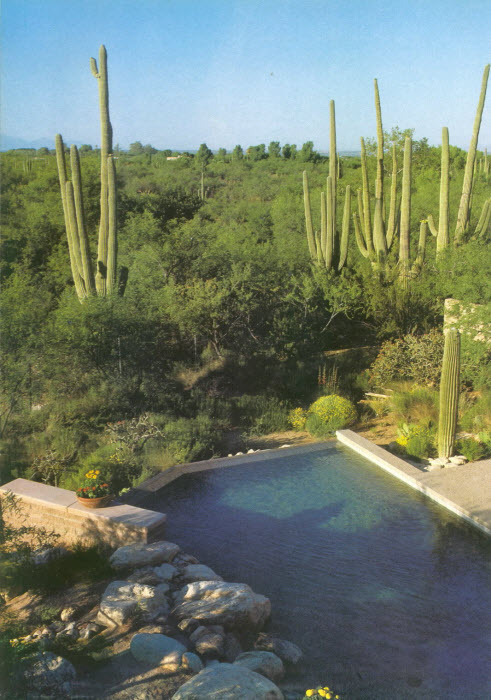 The one unfortunate side effect to this method is the calcium line that is left at the water’s edge. 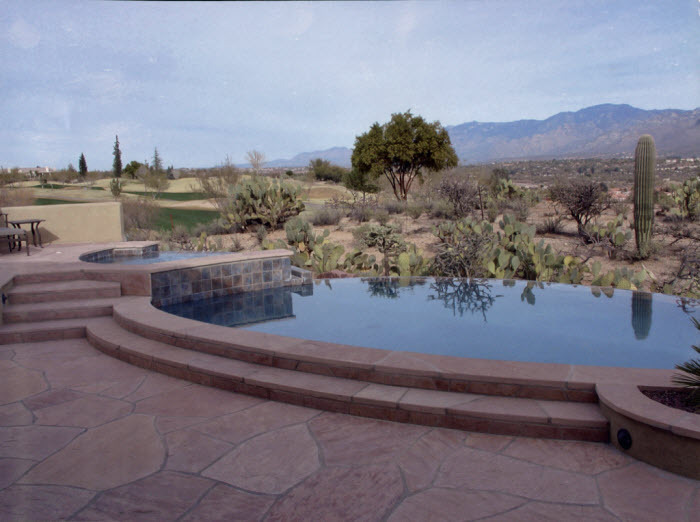 If one does not keep the calcium off of the tile, this white line detracts from the illusion and ruins the whole effect. To help counter this issue we have come up with the vanishing edge pool. 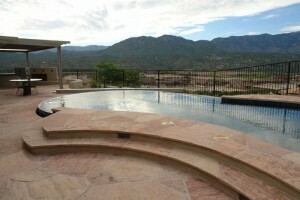 It is beautiful but more expensive.